Down in Kyeongnidan there's an interesting new noodle joint that's worth a visit. Bao seats about twelve people, so you may have to wait, but it's worth your while. 7,000 won gets you a regular size plate of noodles with several different flavours to choose from. Plus for a few extra thousand won you can get some additional meat, seafood, tofu or herb toppings. I went for the Malay wide rice noodles with chicken (extra 2,000 won) and holy basil (extra 500 won). Peanutty, coconutty, filled with fresh vegetables and tender strips of chicken this was one of the best noodle dishes I've had in Korea in a while. 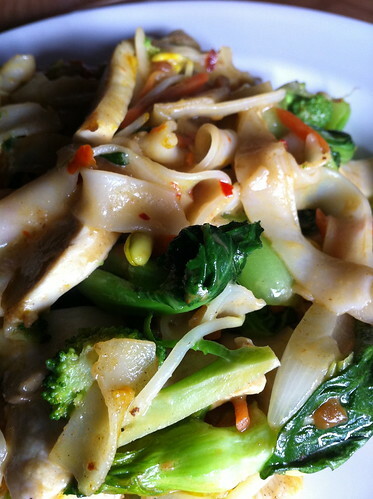 A good portion size for the price and the staff are very friendly and more than willing to explain the menu for you. Even my hyper critical Korean friend who has been desperately searching for decent Thai food in Seoul was happy with her Thai style noodles. Bao is a great place for a cheap and filling lunch. 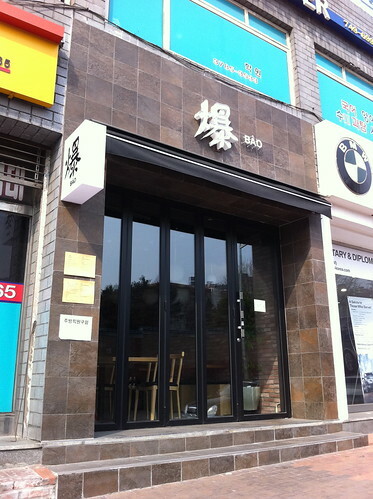 Head down towards Haebangcheon from Noksapyeong station and you'll find Bao next door to Noxa. Call them on 02 797 4769. 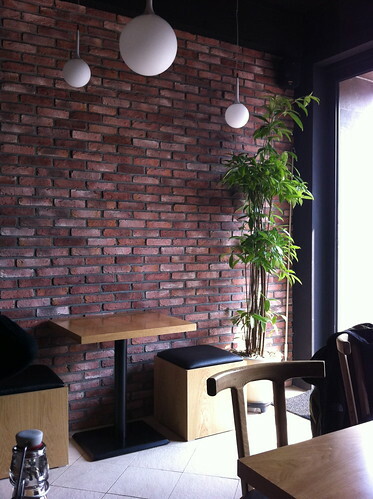 Their address is 658, Itaewon-dong (kyungridan), Yongsan-gu, Seoul 140-861. Nice review - did you get an address for Bao? Your wish is my command. Just stuck one on there.